In a work environment, you stand a good chance of placing a posing a strong case in court if you were laid off on the basis of your race or your gender. 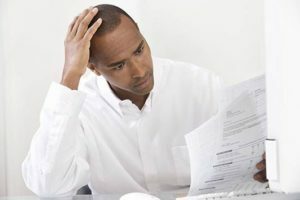 If an employer – regardless of the sector in which the firm belongs, whether public or private – fires you because he or she can’t put up with seeing an individual from your race work in the firm, or for any other reason that can be considered as being discriminatory, you can actually ensure that they don’t go scot-free by speaking to a qualified unlawful termination attorney here in City of Industry, who would help carry on your case with utmost gusto and zeal. Your attorney of choice will establish firstly via thorough evaluation, if your employment may be considered as an At-will employment, if it does, your case will then be reviewed to know if your employer violated the terms of your employment contract, whether written or implied. These actions and more will be taken by your attorney, as it would help guarantee that justice is served you at the end of the day.Rawa Law Group is your best bet for top quality legal services, we are one of the finest legal establishments here in California, with over two decades worth of corporate experience and 55 years combined experience in practice. We do not require that you give an initial remuneration before we take on your case; our attorneys are ready to take on your case with utmost zest and commitment. Reach out to us now via the address below, and take advantage of our FREE consultation services.